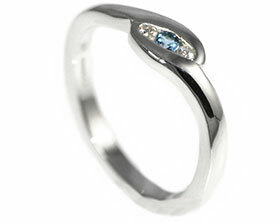 This stunning engagement ring was designed by Ib as a surprise for Victoria.He wanted a classic and simple design to suit Victoria's taste with an organic twist style side view moving up into the claw setting. 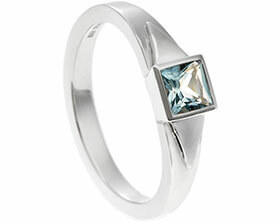 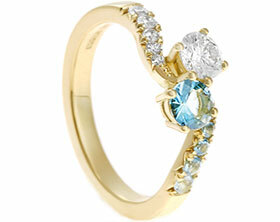 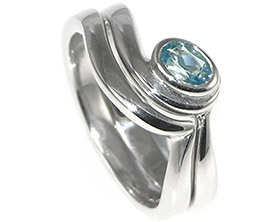 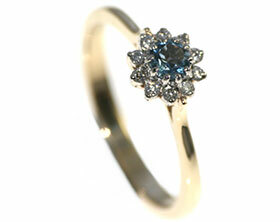 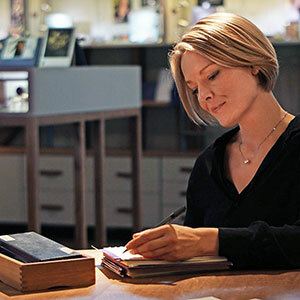 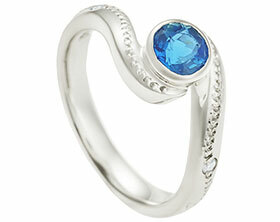 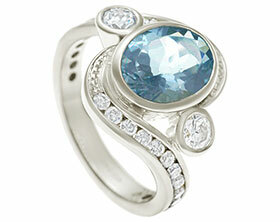 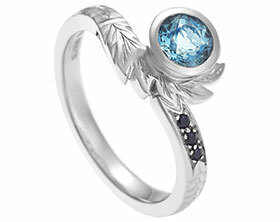 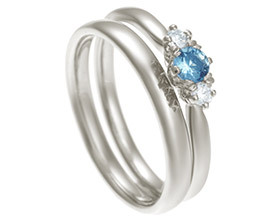 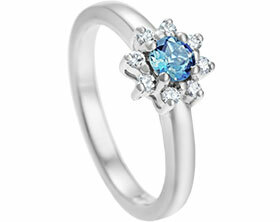 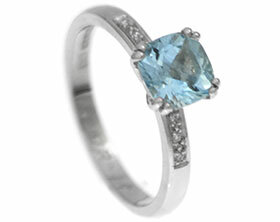 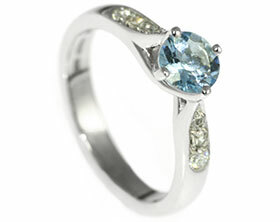 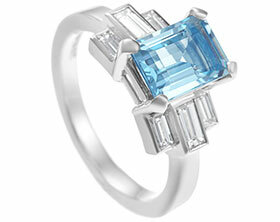 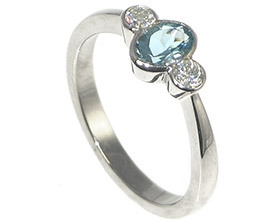 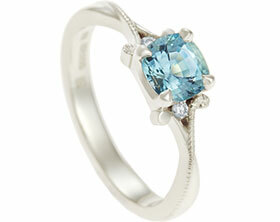 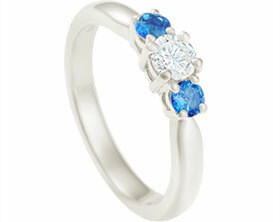 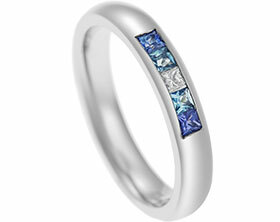 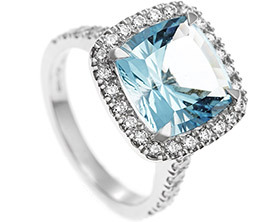 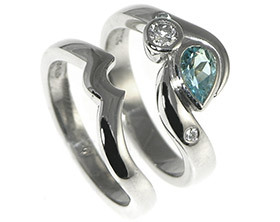 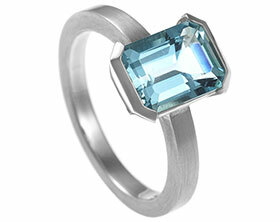 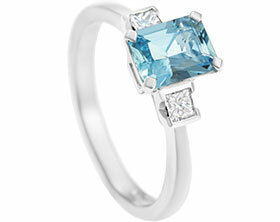 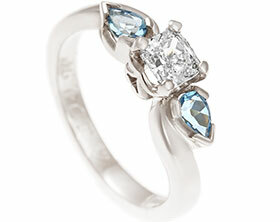 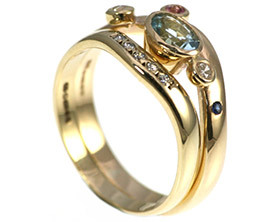 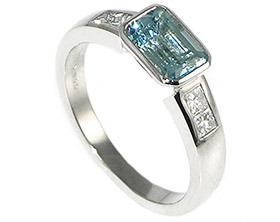 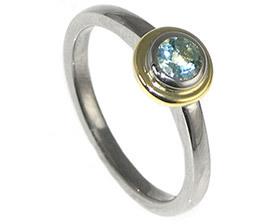 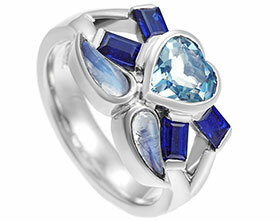 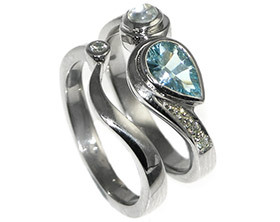 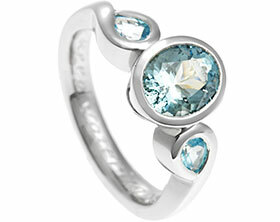 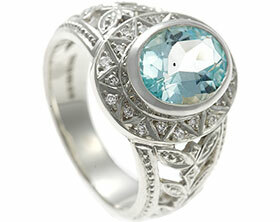 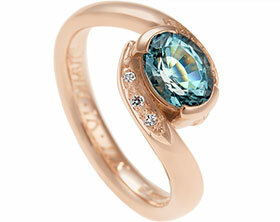 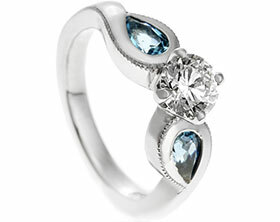 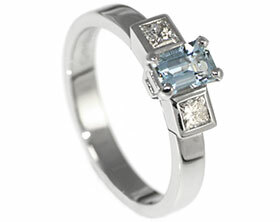 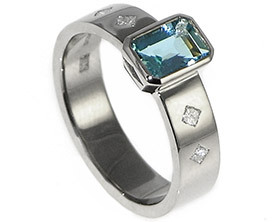 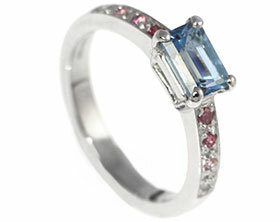 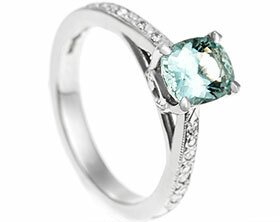 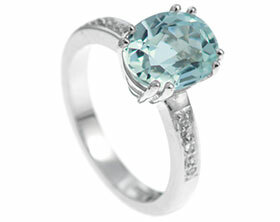 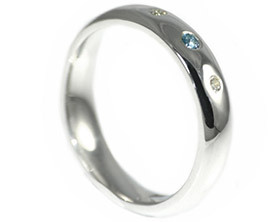 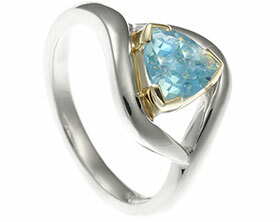 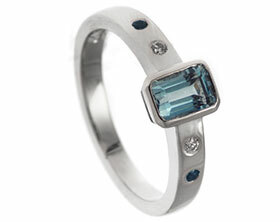 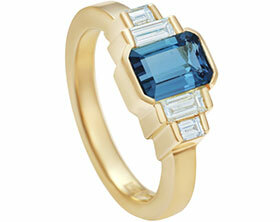 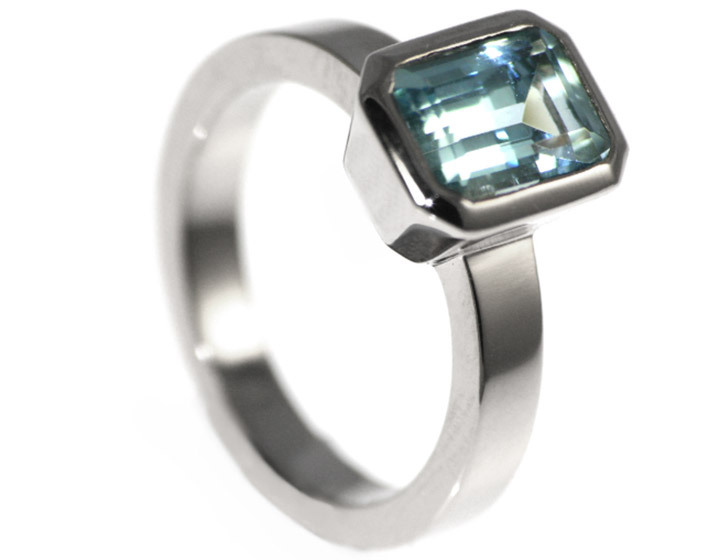 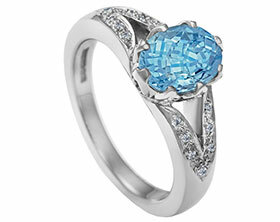 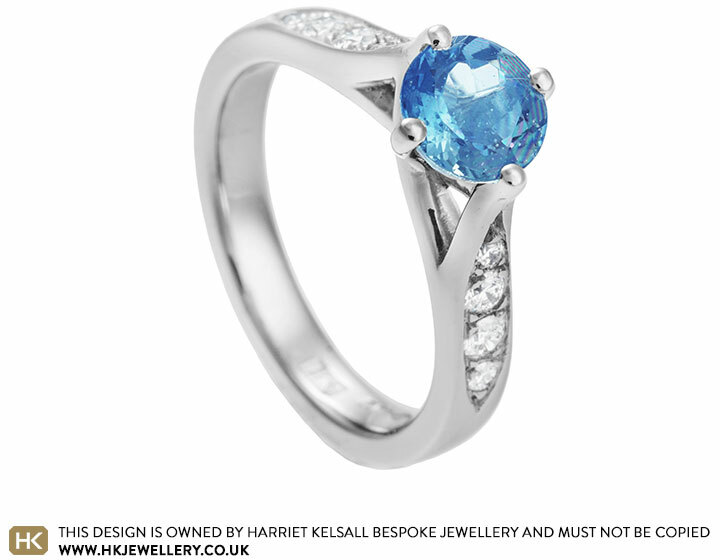 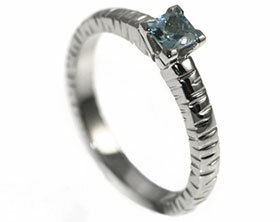 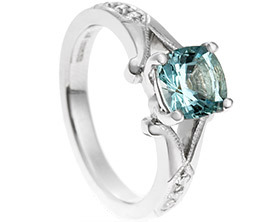 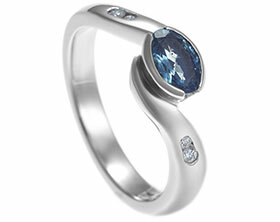 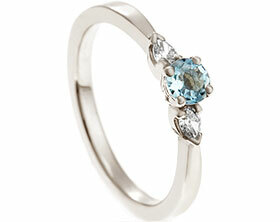 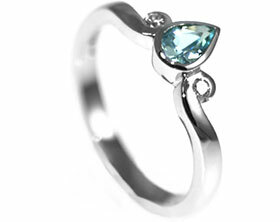 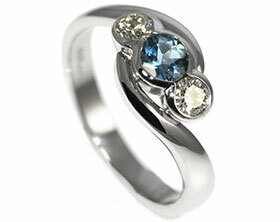 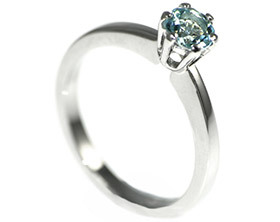 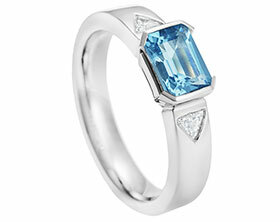 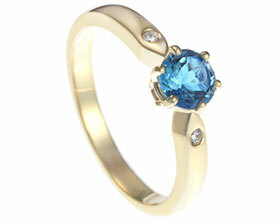 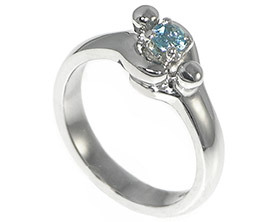 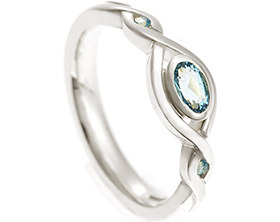 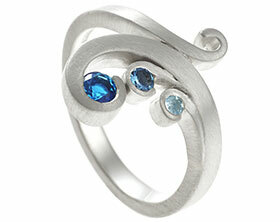 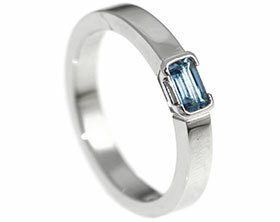 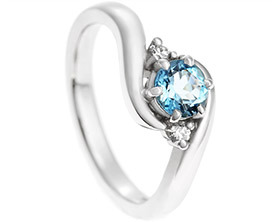 The 0.78ct Aquamarine is AAA in quality and was selected by Ib because it matched Victoria's favourite colour. 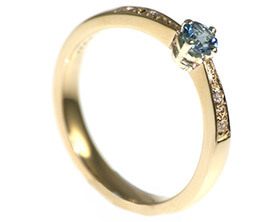 Ib wanted to add extra sparkle which we did with the delicately pave set diamonds in each of the elegantly tapering shoulders.